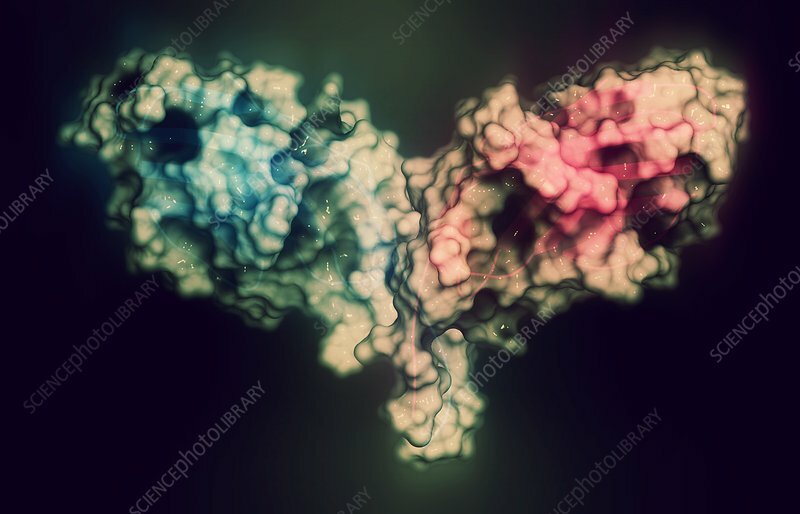 CTLA-4 (Cytotoxic T-lymphocyte-associated protein 4, CD152) protein. CTLA4 blocking antibodies are used in cancer therapy (immune checkpoint blockade therapy). Stylized combination of a semi-transparent surface model with a cartoon representation. Cartoon: gradient colouring (N-terminus blue, C-terminus pink).